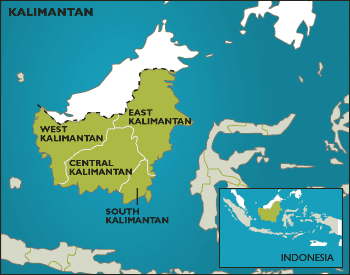 In February of this year, at the invitation of JATAM (the Indonesian Mining Advocacy Network) and JATAM Kaltim (JATAM East Kalimantan), DTE staff member Andrew Hickman went to see for himself the effects of coal mining in and around Samarinda, East Kalimantan. Papua's provincial administration has announced plans to develop a hydro power project with a maximum capacity of 2000MW to provide electricity and support infrastructure development. European countries are turning to agrofuels for energy and transport as part of their strategy to move away from fossil fuels and meet greenhouse gas emissions reduction targets. The use of palm oil as an agrofuel source has drawn strong criticism due to the severe social, environmental and negative climate change impacts, which contradict industry claims that it is a 'green' fuel. RSPO certification - sustainability for whom? The Roundtable on Sustainable Palm Oil (RSPO) has started awarding certificates to palm oil producers, even though some of those companies are involved in unresolved conflicts with local communities.